If you’d like to start shooting video a little more seriously on your DSLR, then our DSLR Video course is something you should consider. 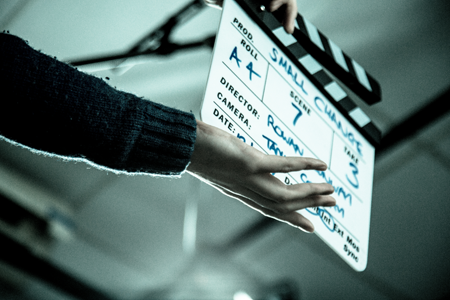 This one-day course is designed to show you the basics in shooting video on your DSLR with a view to editing, taking in colour, lighting, sound, framing, moving your camera and everything you need to know to start you thinking like a camera operator. An understanding of exposure (Aperture, ISO & Shutter Speed) and White Balance is required to sit the course. This course will take place in The Courtyard Studio, Dublin 4. We are delighted to have Tadhg Conway onboard as the course tutor. Tadhg is a lighting cameraman who has been shooting corporates, events, performances and commercials in Ireland and abroad for over 20 years. No stranger to a film set, Tadhg has also worked as a video assist operator on over a hundred television commercials as well as movies by, among others, Steven Spielberg, Barry Levinson, Kevin Reynolds and Joel Schumacher. In his movie EPK work has shot a multitude of on-set behind the scenes footage as well as interviews with Hollywood stars including Bob Hoskins, Glenn Close, Colin Farrell, Cillian Murphy, Christopher Lee, Mia Wasikowska, Neil Jordan and Aiden Gillen.